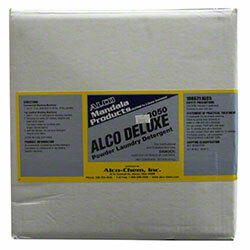 Alco Deluxe - Alco-Chem, Inc.
A heavy duty powdered laundry detergent. Contains phosphates and non-ionic surfactants. A "one-shot" product for top loading laundry machines.